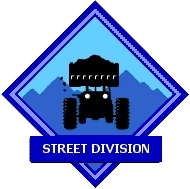 Welcome to the Street Division! The City of Tifton partners with ESG Operations, Inc. to bring our community the best services and resources available while maintaining and/or cutting costs. Together, the City and ESG put the citizens’ best interest first. "Provide the highest quality and value based services for our customers and provide a clean and safe environment with trained, dedicated, helpful professional people, and equipment to complete their duties." "Provide quality service for our customers in as safe and timely manner as possible by quality professional people." The Street Division constructs and maintains quality streets and installs quality storm drain systems, initial sewer and water lines in new subdivisions, and maintains existing street and storm drain systems in a clean and safe City.